Former governor of Anambra state, Senator Chris Ngige, has described the emergence of Senator Ike Ekweremadu as Nigeria’s deputy senate president, as a disadvantage to the South East people. Ngige was reacting to the recent comment by Ekweremadu that his position have made up for the Igbos in terms of zoning. The deputy senate president went on tocanvass for the South-South region to be accommodated in the Buhari government. 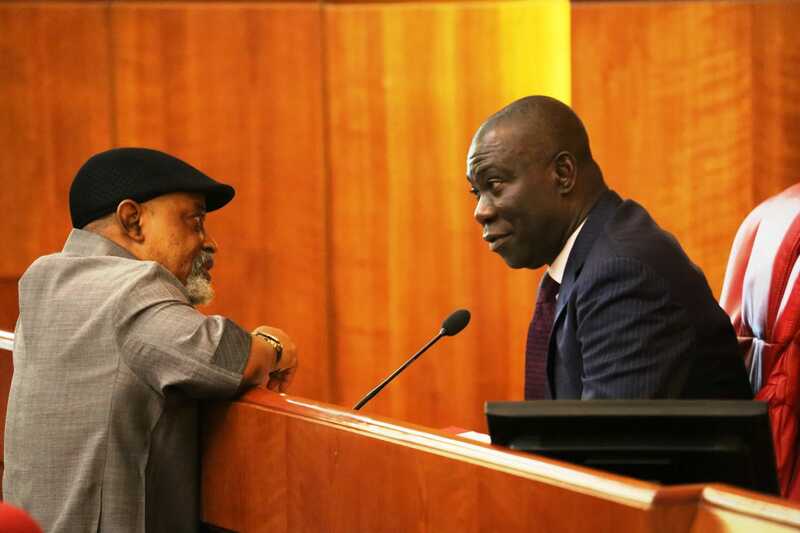 Apparently irked by Ekweremadu’s suggestion, Ngige who is one of those tipped to emerge as the Secretary of the Government of the Federation (SGF) thundered, “Why should Ike Ekweremadu be making a case for the South South? Is he from the South South? He has no locus standi to say that. Ngige revealed that APC members in the South-East are not happy about Ekweremadu’s emergence because according to him, the implication of his election is that the Peoples Democratic Party (PDP) has the highest ranking elected public officer from the region. Ngige who was speaking to group of journalists, also said Ekweremadu has made the job of the South East APC difficult but vowed that they were going to face the issue squarely. He said, “You know, there are many ways to kill a rat. You can decide to go and kill it manually, you can go and put it in hot water, and you can use poison – Gammalin. We are back to the drawing table because it poses a problem for us and for some of us who know the powers and the rules of the Senate, a deputy Senate president exercises powers given to him by the Senate president. It only asks him to act for the Senate president when he is not around. The deputy Senate president is like a deputy governor- a spare tyre. He is a spare; you don’t use your spare when your tyres are okay in a vehicle. If it is in your house, if you have public power supply you don’t use your generator. My very good friend and brother Ike Ekweremadu misfired when he said he has gotten the share of the South East. The share he got was for himself, it is not for the South-East,” he concluded.